It’s Fri-YAY! Get your shop on when you click over to AgaciStore.com for some seriously seductive weekend attire. With everything from the #LBD to the #LWD and everything in between, this all black-and-white collection will have you ditching your sartorial woes and daydreaming about your next night out. Because, you can never go wrong with the classics! Shop the lookbook for a boost of print-mixing courage (yes, you can totally pull this off), and then get a little wild putting your own spin on things. 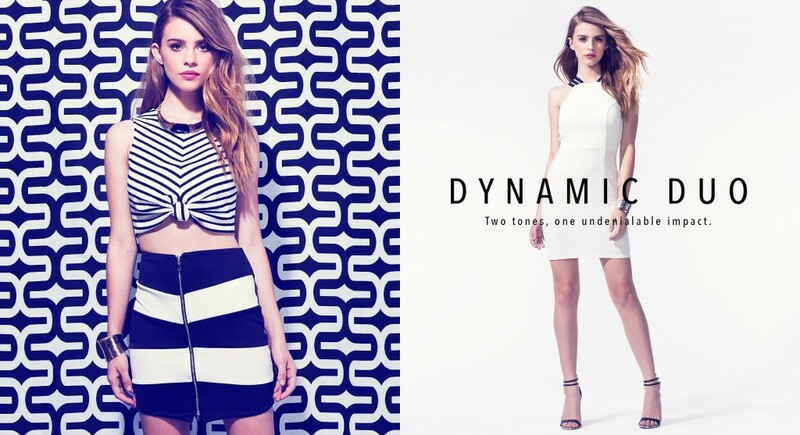 Crop tops and pencil skirts, blazers and shorts- it’s all fair game with these dynamic duos. So toss your seasonal florals and get on board with this timeless, no-fail trend.